As one of Asia’s economic powerhouses, Singapore has established itself as the perfect launching point for HKS to provide design services across the region. Since opening in 2016, HKS Singapore has progressively expanded its influence and we currently provide diverse design services to clients in more than a half-dozen Asian Pacific countries. As a sign of our ongoing commitment to the region, in 2018 our renovated office became the first shophouse in Singapore to receive a Green Mark Gold Plus certification for sustainability. Singapore office director Angela Lee joined me for a Q+A to discuss what to expect from HKS’ newest office, which serves one of the world’s fastest growing regions. Where has HKS Singapore focused its attention lately? AL: HKS Singapore’s momentum centers on reinforcing strong ties with existing clients. With several hospital projects spread across China, HKS is an important name for medical planning in the world’s largest and most demanding health care market. HKS also provides design services in Cambodia, Indonesia, the Philippines, Hong Kong, Macau and Myanmar. Hopefully, this list will grow to include Pakistan, Malaysia and Japan. That’s not to say we disregard opportunities closer to home. Our vision of integrating HKS into the fabric of Singapore is seeing success in projects with the National University of Singapore and Resort World Sentosa, among other valued clients. What will define your design work for Asia Pacific in 2019? AL: Population growth in the East is projected to vastly surpass the West, and with this comes higher levels of demand in the regional design industry. We expect our work to continue increasing in volume, especially as emerging markets in countries such as Myanmar, Cambodia, Philippines and Vietnam take hold and add to the demand of already prospering markets. We also expect an uptick in our sector work for hospitality interiors as we dedicate more energy to it. As these markets develop, how are client expectations changing? AL: Population growth runs parallel with economic growth, which attracts high-profile clients to the region. Consequently, the design services we provide are expected to be higher caliber and tailored for the growing demands of luxury and exclusivity in Asian Pacific developments. The HKS Singapore team is honored to receive Green Mark Gold Plus Certification for the design of its office. 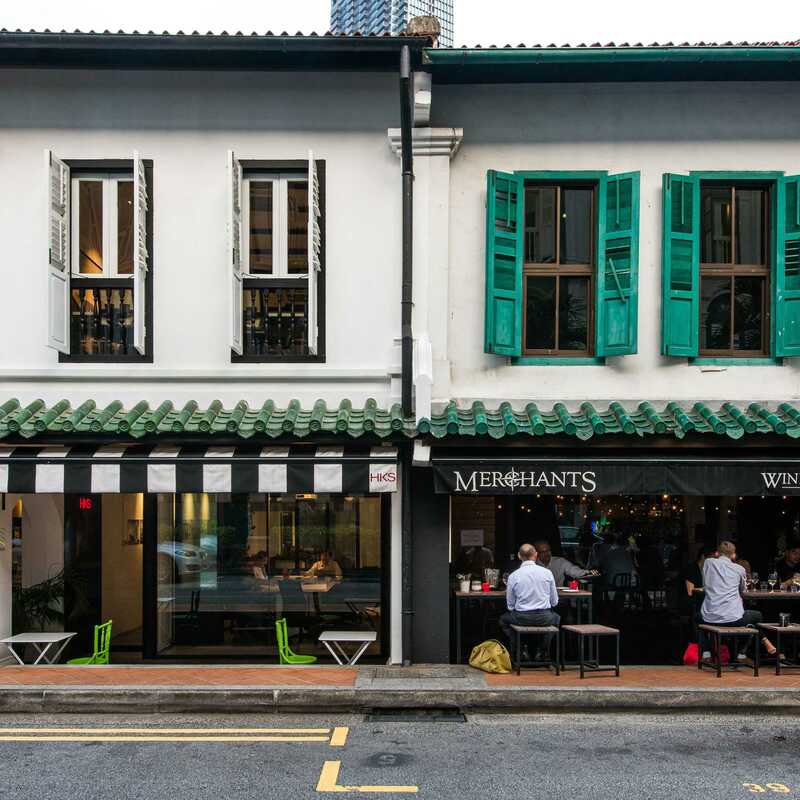 It is an historic designation: it is the first shophouse in Singapore to achieve such a high sustainability certification. What are clients in Asia Pacific looking for in a design firm? AL: Our clients want responsiveness, reliability, experience and practicality. They operate under tight schedules and architects must operate efficiently and with a keen eye. These values are crucial in ensuring a project is delivered smoothly and professionally, and they’re ingrained in our project teams. How has opening a regional office in Singapore benefited our clients and our business? AL: We’re engaging with the region in an unprecedented manner for HKS. With our situation in Singapore, a growing international destination, we’re able to attract clients and employees alike from many countries in the region. The diversity of our employees offers us a deeper understanding of the various cultures in this market, as well as fluency in languages such as Cantonese, Mandarin, Hokkien, Bahasa Indonesia, Spanish, English, German, Burmese and Malay. What’s unique about your office culture? AL: HKS Singapore’s success begins with its people. Our team represents 12 countries: Singapore, Germany, New Zealand, Australia, China, Hong Kong, Taiwan, Myanmar, Indonesia, India, Spain and the United States, and everyone works diligently to bridge cultural differences. Additionally, more than 60 percent of the staff is female. The office environment welcomes everyone regardless of background and culture. What are your goals for HKS’ Singapore office? AL: Currently we handle projects in the health, hospitality and sports practices. But with the volume of clients in the region and Singapore’s thriving architecture scene, we hope to continue our growth as we expand our interior design practice and seek new clients from across the region to create exciting projects alongside.